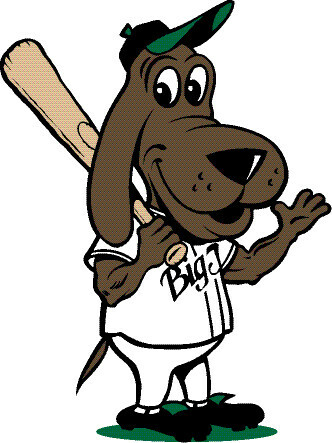 Homer can be found at Big Train games throughout the season as well as at community events all year round! 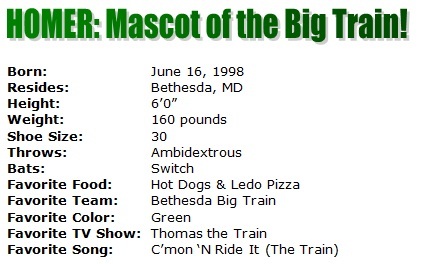 Homer is an upstanding member of the Montgomery County community and has appeared at many events. To see some of the pictures from Homer's outings, click here. If you want to talk to Homer about something, you can email him! Maybe you want Homer to come to your event or party, or maybe you just want to get in touch with your favorite mascot. Dogs may not like mailmen, but they love mail! To send Homer an email, click here!